The researchers,from MIT, Central South University in China, UC Berkeley, and the Austrian Institute of Technology, used three weeks of anonymous cellphone billing information of 360,000 San Francisco Bay Area users and 680,000 Boston Area users who had approximately hour-long commutes to compile an unprecedented data set of road statistics, commuter routes, and traffic. In cellphone data, user location information is affixed to the nearest cellphone tower. The researchers settled on a home "source" neighborhood from the regularity of the route traveled and the location of towers that routed calls made between 9 p.m. and 6 a.m. In metropolitan areas like Boston and San Francisco, cellphone towers are densely located, enabling the researchers to track the routes, traffic volume, and speed of hundreds of thousands of commuters from their home neighborhood to work. The scientists identified which neighborhoods sent drivers on different routes by combining information about where drivers started their commute, the population densities, the location and capacity of roads, and how the road segments connected to form each city's network. Surprisingly, the researchers found that in both cities, 98 percent of roads were operating well beneath capacity, and the bottleneck traffic could be tracked to drivers coming from only a handful of neighborhoods. 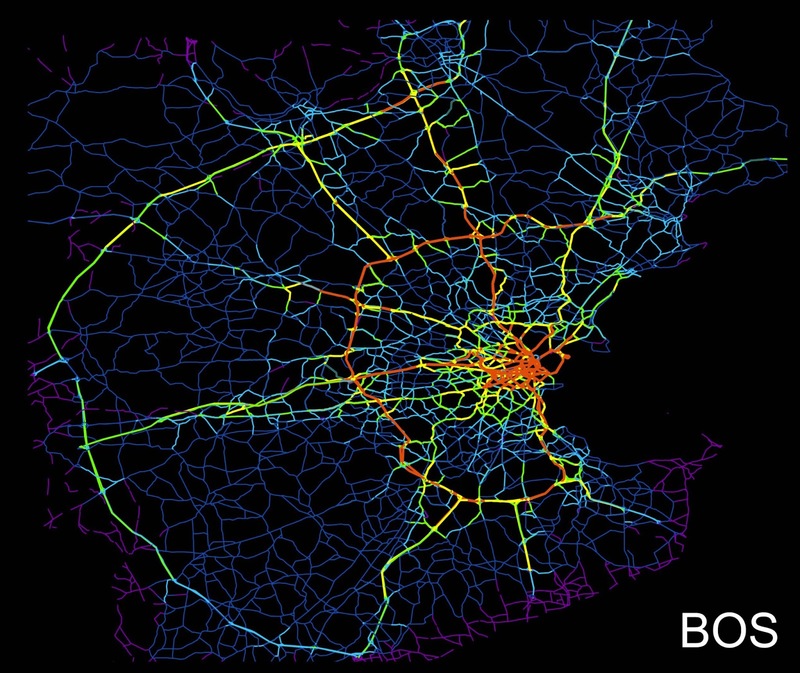 When the researchers built a model to reflect the road and commute networks of the two cities, they found that reducing the number of commuters from those specific neighborhoods by only 1 percent reduced traffic across Boston by 18 percent and across the San Francisco Bay Area by 14 percent. As urban areas grow at an unparalleled rate and mobile phones become more widespread than ever, the data used in this study is increasingly available across the globe. The researchers hope to use this method in urban planning, with a particular focus on rapidly developing countries in Asia, South America, and Africa. Wow! Does it take that 1% of drivers longer to get where they want to go? Regardless--what a great application of cell phone technology!